Are you looking for business opportunities in Bangladesh? If yes then your search ends here. BrewBakes, India’s leading coffee shop and food café franchise chain, is offering food business franchise opportunities in Bangladesh. We provide you a wonderful opportunity to start your own business. With Brewbakes coffee shop master franchise opportunities in Bangladesh for those passionate people who wish to part of a successful and tested franchise business model of a profitable industry. With master franchise you will be provided exclusive benefits and income share. You will be provided an exclusive right to expand BrewBakes coffee shops in Bangladesh with remarkable training & support for the smooth operation and life of BrewBakes coffee shop establishments in Bangladesh. Why BrewBakes Café Shop Master Franchise in Bangladesh? Bangladesh is a middle power and a developing nation in South Asia. The country share land borders with Indian and Myanmar. Other neighboring countries are Bhutan, Nepal and China. It is a country of mix economy and its economy ranks 46th in terms of nominal GDP and 29th in terms of PPP. It offers good business climate and is one of the largest textiles exporters in the world. It is the third largest Muslim-majority country and the eighth most populous country in the world. It is a predominantly a Muslim country but people of different ethnic groups and religions also reside here. The country has huge potential for growth and life of food businesses and coffee shop establishments. Exploring various aspects of the country, BrewBakes, a leading Indian food café and coffee shop franchise business chain, is offering now coffee shop master franchise opportunities in Bangladesh. The most preferable areas for coffee shop establishments in Bangladesh are undoubtedly its various cities which are frequented by people including local residents and tourists as well. 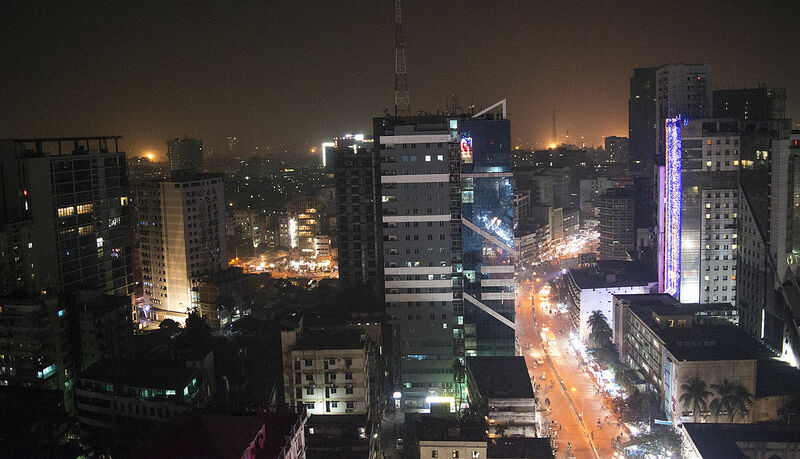 Dhaka is the capital and largest city of Bangladesh. It is the world’s 4th most populous city and one of the worlds’ largest cities having population of more than 18 million people in Greater Dhaka. It is also the largest city in Eastern South Asia. The capital city is also the chief political, cultural, commercial and economical center of Bangladesh. The city is also home to 54 resident embassies and high commissions. It also hosts numerous international organizations. Dhaka can be a good place for coffee business in the country, as it provides excellent infrastructure for food businesses and coffee shop establishments. In this city, coffee shop can also get benefits from tourist arrival. There are numerous tourist attractions, cultural sites, ancient buildings, and historical monuments which are very popular among domestic and international tourists as well. Chittagong is the second largest city in Bangladesh. It is a major seaport city and financial center. Today, the city has been become an important economic hub in South Asia. There are various businesses and industries are thriving well in this Bangladeshi city. The city is home to the Chittagong Stock Exchange. Many of Bangladesh’s oldest and largest companies are located in this city. Offering good business climate, the city can be a great place in the country to start coffee business. In terms of tourism, Chittagong is also important. It is famous for its natural landscapes, beaches, waterfalls, river streams, elephant reserves, hills, jungles, etc. It attracts a good number of nature lovers and tourists who have interest in rich biodiversity. Tourists can be a great customer base for coffee shop. Hence, there is certainly a great potential for growth of coffee business in Chittagong. Other potential cities for coffee shop establishments in Bangladesh are Khulna, Barisal, Rajshahi, Rangpur, Gazipur, Narayanganj, Mymensingh, Comilla, Sylhet, Cox’s Bazar, Bogra, Tangail, Jessore, Kushtia, Faridpur, Jamalpur, Pabna, Noakhali, Feni, Brahmanbaria, Sirajganj, Dinajpur, and Nawabganj. Industrial development in Bangladesh also has created potential for coffee shop establishments and food businesses. Major industries in the country include textiles, ceramics, chemicals, steel, electronics, energy, construction materials, pharmaceuticals, shipbuilding, leather goods, and food processing. Food processing is a major sector, and electronic industry is also growing well. The country is also noted for one of the fastest-growing telecommunications industries in the world. Tourism is also developing. There are number of interesting places, cultural sites, ancient buildings, historical monuments, wildlife reserves, beaches and resorts. The beach resort of Cox’s Bazaar is the center of the tourism industry in Bangladesh. These all developments are good for coffee shop establishments. And hence, we are offering coffee shop master franchise opportunities in Bangladesh. By opting BrewBakes coffee shop master franchise business in Bangladesh, we will provide you solid business plan with tested and concrete marketing strategy for the success of business. You will get privilege of being a member of a well-established brand. You will get remarkable training and support for the establishments of coffee shops in various cities and towns of Bangladesh. Grab this golden opportunity for coffee shop master franchise business in Bangladesh, and become your own boss. For more details about franchise models and coffee shop master franchise business opportunity in Bangladesh, contact us today. Call now: +91-7838938556, 011-22755534 / 43016140. Grab this opportunity and become your own boss.